Post-Brexit Recruitment challenges. What happens next? So the country has voted; the UK is to leave the European Union. Whatever the long-term future may hold, a period of uncertainty lies ahead for UK business following the Brexit vote. For the UK jobs market and recruitment industry, Brexit also serves up several potential, future challenges that will require decisive decision-making and effective strategy. At present, most of the talk around any long-term impacts is pure speculation and it will only become clear over the next 2 years or so. But here we take a speculative look at those challenges and their potential impacts. Uncertainty does not breed prosperity and growth. It creates a tentative approach to investment and willingness to do business freely and effectively. Therefore, a swift and clear EU breakaway timetable is vitally important to ease the uncertainty and allow businesses to strategically adjust. This does not mean we rush through with the renegotiation, but rather act decisively. One area in particular that can have a huge impact on the UK jobs market is the freedom of movement between the UK and the EU. Effective negotiating in this area is so incredibly important for the UK labour market, which relies heavily on over 2 million EU workers in key areas such as construction & Healthcare. Heavy restrictions on inbound EU workers is only likely to exacerbate an already serious skills shortage and limited talent pool. A serious look into the UK ‘skills pipeline’ must therefore be looked at too, finding ways to ensure workers are better equipped with the skills the country’s economy requires. New sustainable ways to produce skilled workers across for all key sectors are essential, particularly if freedom of movement cannot be negotiated. This is, of course, easier said than done but if we are to have a long-term future away from the EU this is absolutely essential in sustaining business growth and prosperity. But to have the best talent both from home or abroad, we must have jobs! The other key area for negotiation will be whether or not we can remain within the European Single market, continuing our ability to trade effectively with Europe and attract overseas investment, ultimately creating jobs. Can this be negotiated and if not, can trade with countries outside the EU be a suitable substitute? Just like the freedom of movement dilemma, Europe are unlikely to bow down to our needs easily. 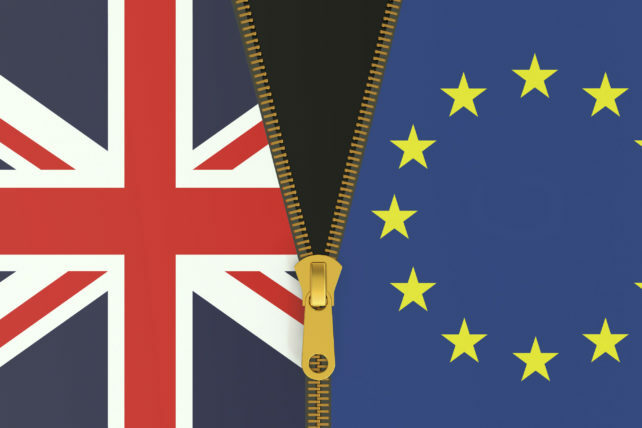 Whatever the outcome, there are sure to be impacts (both big or small) to the free movement of goods, services and people, ultimately having a knock on effect to the UK recruitment industry too. There will be challenges ahead for the UK recruitment industry, however the general feeling across recruitment businesses & the sector governing body, the REC, is one of positivity and optimism. The initial economic shock has now settled down and some kind of stability is now in place, particularly with the swift appointment of the new prime minister. In the short term, we shouldn’t see any drastic new developments, with Article 50 unlikely to be triggered until next year. Only once the negotiations are under way, will we see the true extent of what the future holds. The good news is we have time on our side to prepare.